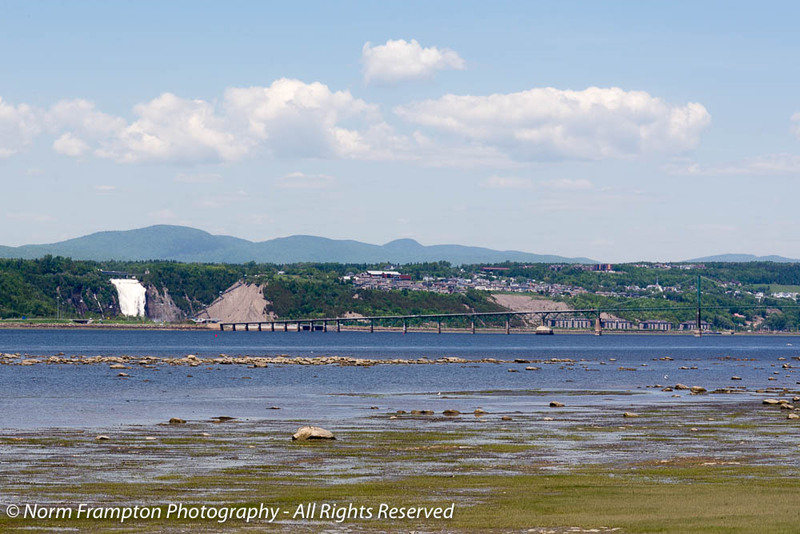 where the St. Lawrence River widens at Montmorency Falls as it starts to open into the gulf of St. Lawrence, you’ll find the bridge that takes you to historic Ile D’Orleans. With its unique micro-climate tempered by the river, the island has been farmed continuously for hundreds of years. In fact upon his first visit to the island in 1535, French explorer Jacques Cartier named the island Bacchus Isle, for the Roman god of wine, because of the many grapes he found growing there. Often referred to as the cradle of French North America, the first colonists from the Normandy and Poitou regions of France began settling on Ile D’Orleans as far back as the 1650’s. 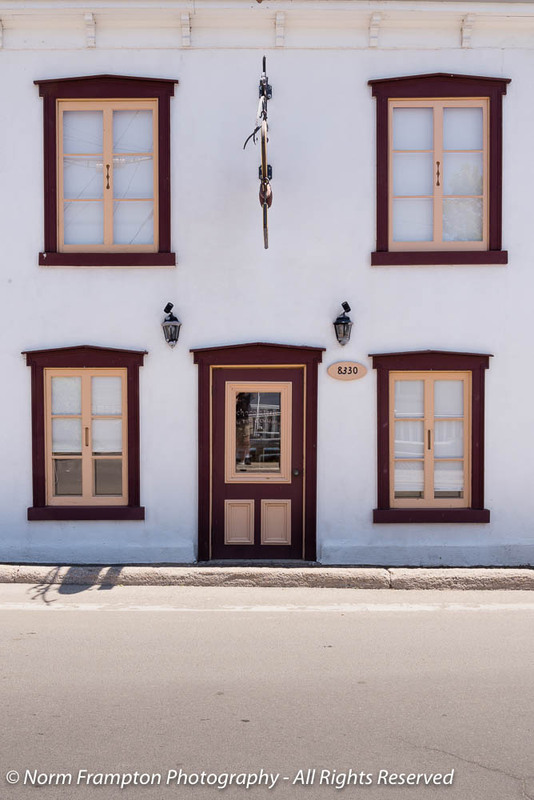 In fact, quite a few of today’s French Canadian families can trace their roots back to early settlers who made the island their first home in the new world. The island is almost 34 kilometers (21 miles) from tip to tip, and around 8 kilometers (5 miles) at its widest point, leaving lots of room for big well spaced farms. The main road that circles the island, Chemin Royal (the Royal Road) was first completed in 1744. Back then this road was an essential lifeline for island inhabitants. Today it’s a popular way for day-trip drivers, and cyclo-tourists to take in all of the beauty the island has to offer. Because people were so spread out, many were too far removed from the island’s few towns and villages. Even for the most devout Catholics, attending church on a regular basis was near impossible when the closest parish was many kilometers away. To accommodate these people a series of strategically spaced one-room chapels were built on donated lands along the island’s Chemin Royal. 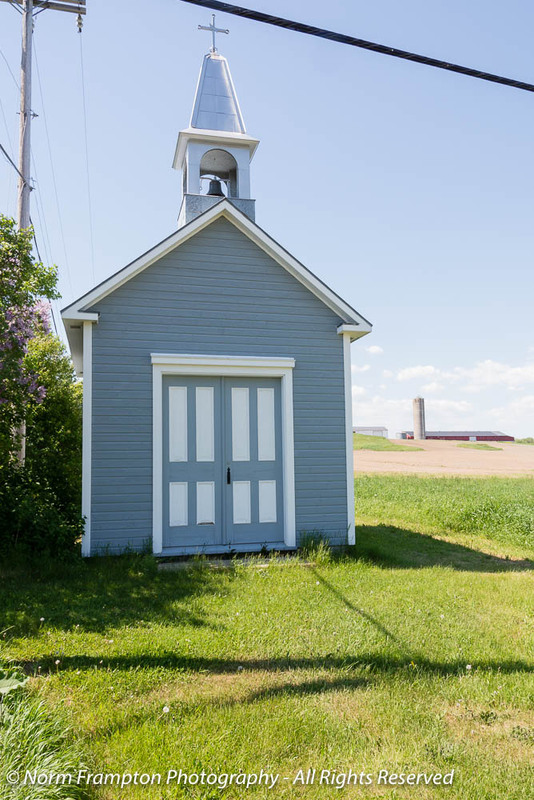 These chapels were rarely staffed but at least the faithful had a place to go to pray, or to offer thanks for a bountiful harvest or a good fishing season, and for weary travelers to stop for a moment along their journeys. Of the nine Chapelles Reposoirs that were left at the end of the 19th century, six are still standing. On my recent doorscursion to the island, I was able to find four of them. 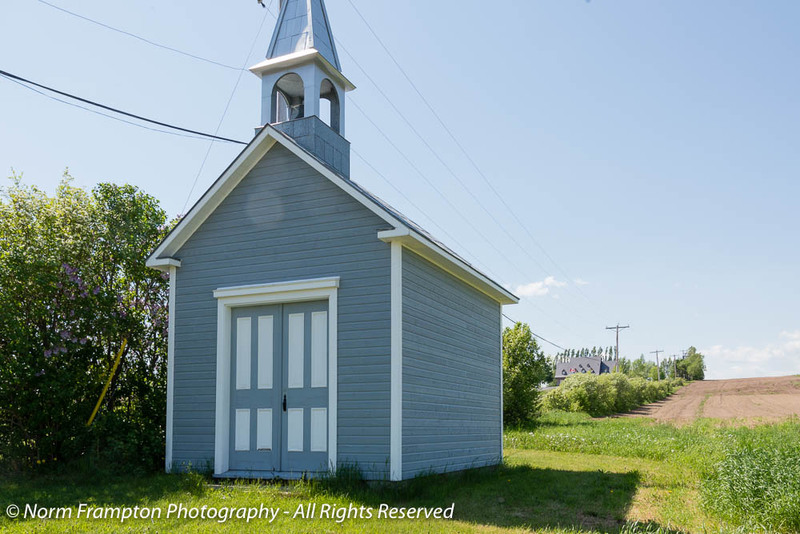 Gallery | This entry was posted in Photography, Thursday Doors and tagged Canada, chapels, Chemin Royal, Doors, Historic Architecture, Historic Buildings, Ile D'Orleans, Québec, Quebec City, Thursday Doors. Bookmark the permalink. Seems like a happy island with happy doors. I’m glad you’re going back for more. 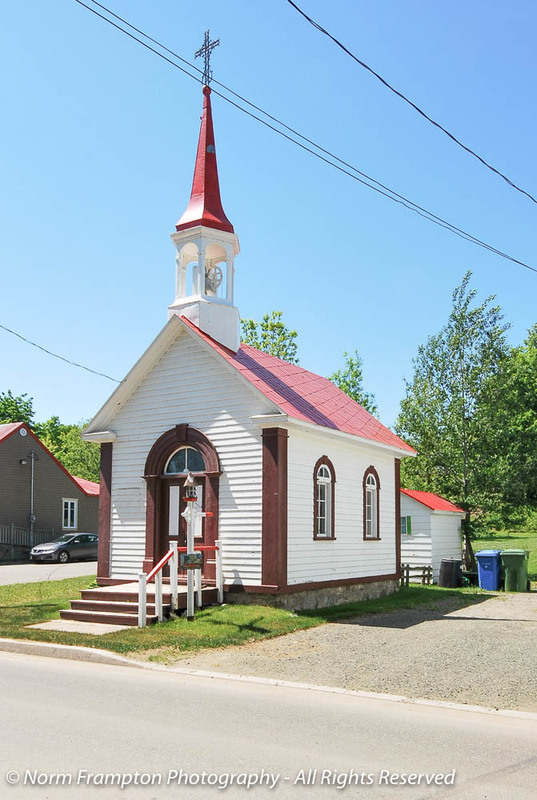 I’m glad you posted this; never saw these small one room chapels before and they are very picturisque and interesting to explain the community’s history. All of the doors on them were great collections and I hope you find the missing 2. Those are cute little churches. I like the color of the last one. I don’t know if that was because it was mid-season or if they keep them locked all the time. Look forward to that post! These buildings and photos are lovely! 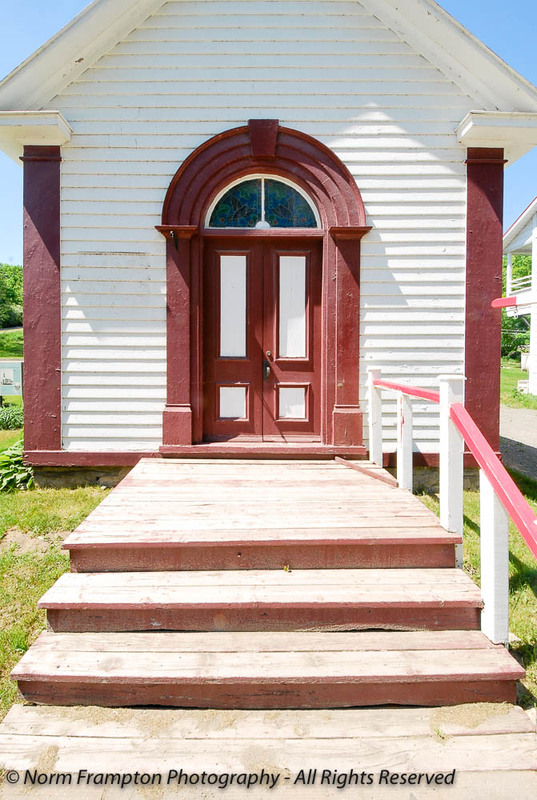 My favourite is the arched door with the stained glass. Thanks for sharing! How charming are these?! And so romantic! I’ve never seen anything like those little chapels before. Made it easier to find somewhere to pray (if you needed a place) than traipsing for miles and miles. Great that they are still in good condition. Thanks Jean. I guess it shows how important religious life was at the time. These one room chapels are beautiful. Like dolls’ houses. 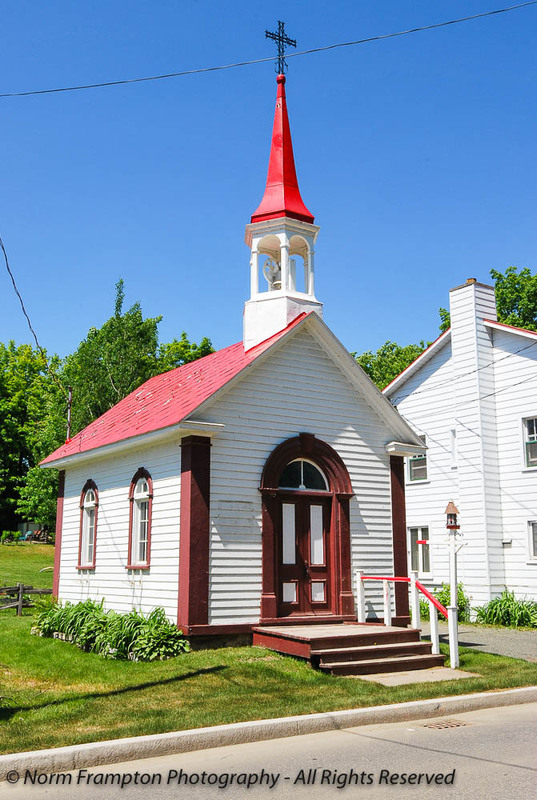 Love this story of the island churches! And that they are still cared for. Warms the heart! 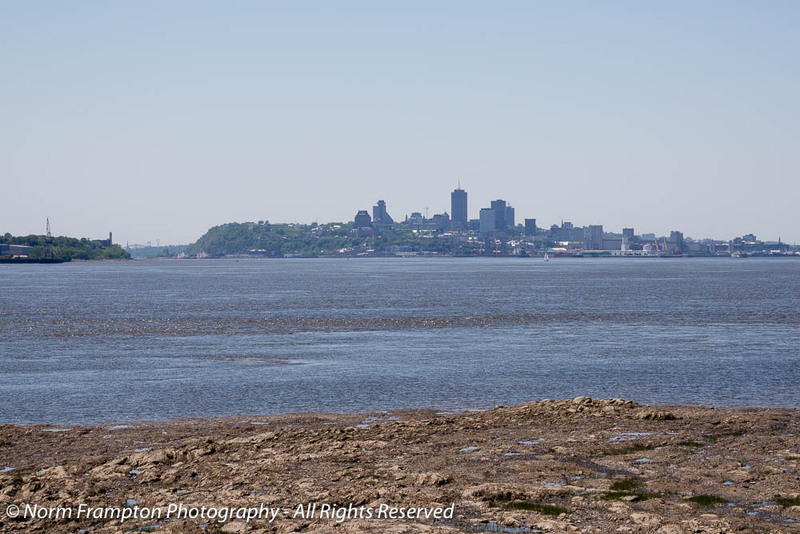 I’m sorry we didn’t get the chance to visit Ile D’Orleans when we were in Old Québec last year. We did see it across the Saint Lawrence from Montmorency Falls and thought it would have been fun to continue our bike ride over there. Alas, we didn’t have time, but now we have a good excuse to return. Lovely little chapels and lovely doors. They’re adorable. I do believe the first is my fave. Little red door, little red flowers. Lovely stuff. Thanks Joey. It had been at least 10 years since I had been there. I had forgotten all the wonderful little charms of this place. 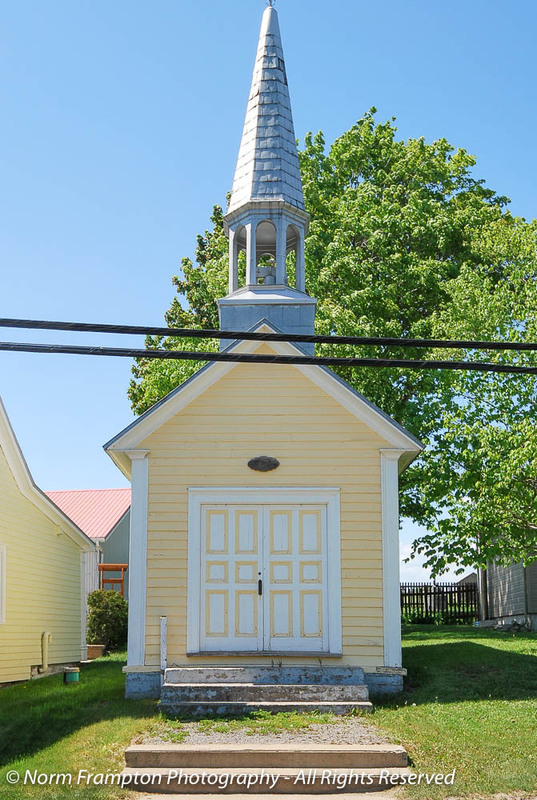 Oh, the ADORABLE tiny churches! Thank you so much for finding and photographing them and sharing them here! Wonderful and interesting find Norm. 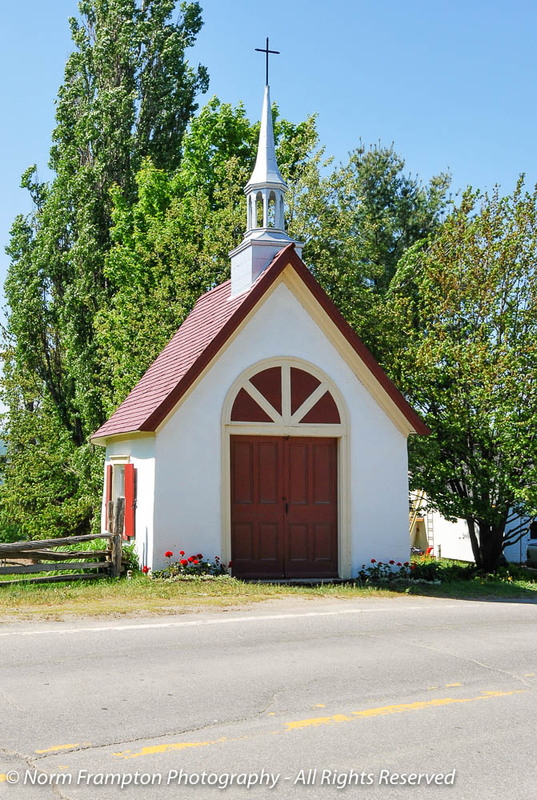 I’ve noted fewer than a handful of small roadside chapels during my travels and always assumed it was something built as a bit of whimsy. Now I know differently. Thanks, Norm! I love the little chapels. It must be so nice to drive along and see these little places where one can stop and say a prayer. These little churches are beautiful. It’s time for a trip to go and see them. Are they left open for people to go inside? I’m finding big churches are often locked these days. It would be nice to think people could pop in any time. There’s a farm on the island that produces the most yummy blackcurrant jam. I always try to pick up a couple of jars at the Montreal Christmas markets. Oh Susi, If you like quiet country roads, rural scenery, and sweeping views of the river, then Ile D’Orleans is a must-see. I was there mid-week and the Chapels I saw were all locked. I don’t know if that changes on weekends or during peak tourist season. Ile D’Orleans is one of my favourite spots to visit in Quebec – partly for the food and partly for the bridge. I do love bridges … although I remember one trip when we decided to take the ferry instead. Good catch on the bells – until you mentioned I had not noticed that they all have one. What a beautiful island and I love the concept of the little chapels. I do hope you return to find the missed ones, the ones you found are lovely, with wonderful doors. Thanks for sharing your visit, it looked like a glorious day too! Thanks Norm. I will be away from regular Internet for the next two weeks. 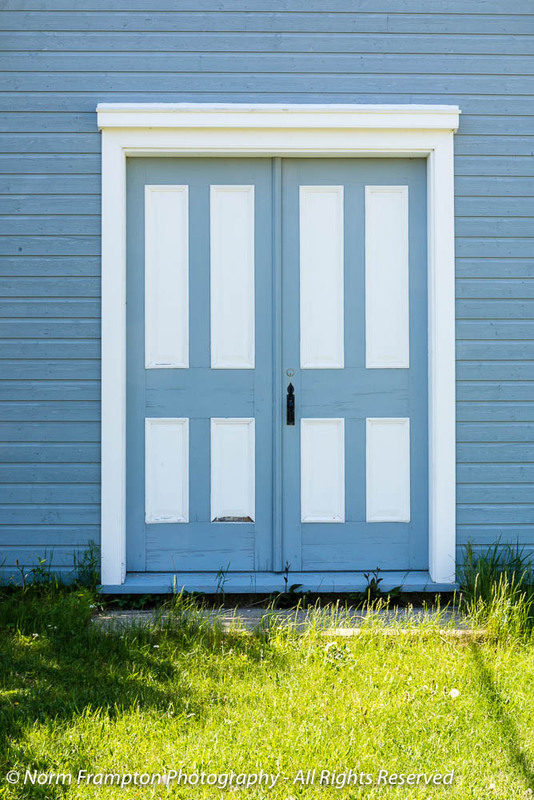 Would it be too much to ask you to put my prewritten Thursday Doors posts onto your list? Thanks Judy. If you ever make it up to Quebec City, this is a side trip well worth making. I love these little chapels. 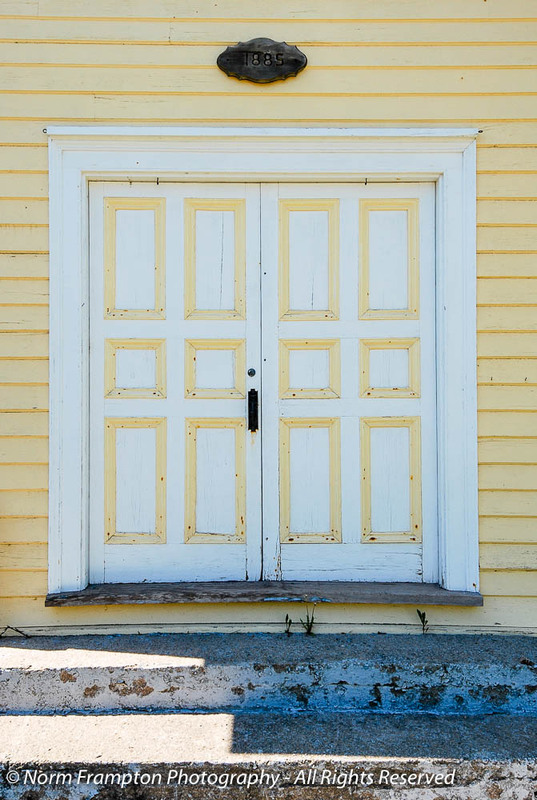 They are beautiful, and the doors are such a prominent feature (as doors should be). I think I like the one with the blue doors the best, although those red nd white ones are hard to beat. 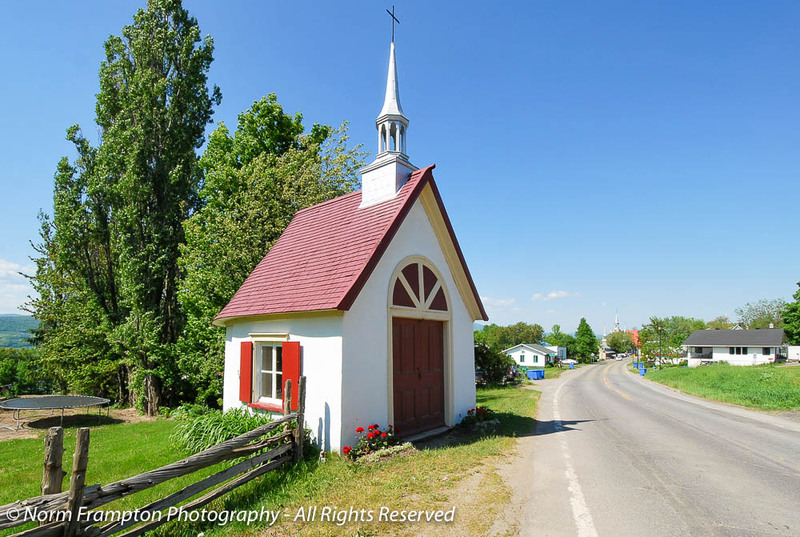 I’ve only ever seen a one-room chapel in rural Washington. I know the crops are for sale, but I couldn’t help think of a menu with wine, apple pie, cheese, chocolate, strawberries and maybe a side of fries. Know virtually nothing about the French colonists. Am glad they took care of these chapel monuments for later generations to enjoy. They all look quaint, and because of their size, almost “cute.” Were most of them Catholic? Thanks. Yes the French were all devout Roman Catholic. They traipsed across the entire continent trying to convert the natives. Uh … lets keep it to the present. That’s complicated enough:):) By the way, does this mean that Canada is still predominantly Catholic? Just Quebec. I suspect the extent of their Catholicism is only to mark “Catholic” on polls – if asked. French Canada is Catholic. English Canada is predominantly Protestant. Though like many places in the developed world, the percentage of people who actually practice either has been in decline for decades. Thank you Norm. That makes sense to a European like I:) Have a great weekend.